All those in search of an adventuring companion, look no further! Hilda has made herself available in handy toy form so that you can recreate the blue-haired heroine’s escapades from the comfort of your own home. At 8 inches high, she’s the perfect size for playing with. Or to keep you company on your desktop. Or even for proud display in any self-respecting toy collection. She’s fully positionable and safety tested for ages 7 and up. So if you (or the little one in your life) are a fan of Hilda, you can lose yourself in your very own Hilda-adventures. Come and get it from the Nobrow shop or online. The box even comes fully decorated by Hilda creator Luke Pearson. We’re on a mission to find the most awesome robots out there and we need your help! We’ve got some amazing ones so far but we’re always after more! Check out all the brilliant robots we’ve seen so far and send us yours over at our Awesome Robot tumblr. Along with the first signs of spring, this rather spectacular new assistant, hand-crafted by the super-talented Philippa Rice (one of her comics is in Nobrow 8), has arrived in the Nobrow offices. Willing and able to take on the most complex of comics-creating tasks this assistant even comes with a detailed instruction manual illustrated by Luke Pearson. Thank you so much, Pippa! 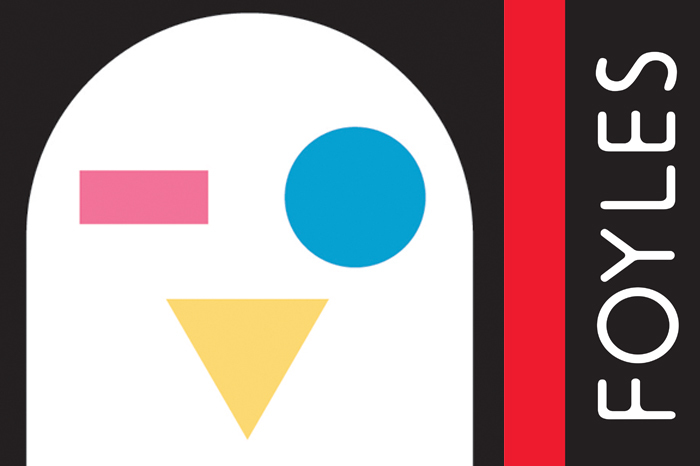 Nobrow co-founders Sam Arthur and Alex Spiro will be giving a talk at Foyles on Thursday the 25th of April all about the creation of Flying Eye Books, Nobrow’s brand new children’s imprint. Hosted by John O’Reilly of Varoom, the talk marks the official launch of Flying Eye and offers an intimate look at Sam and Alex’s insights into the world of graphic novels, illustration and publishing. Having championed the concept of ‘books as art objects’ through Nobrow, Flying Eye now seeks to redefine the world of children’s picture books by applying the same care to execution, content and art and to build a list that deserves to remain in print for many years to come! 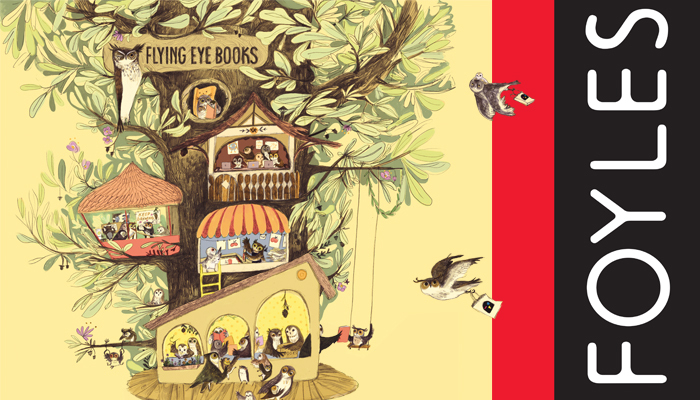 This event is now SOLD OUT, but you can still visit the Flying Eye exhibition at Foyles and get an exclusive look at some of our forthcoming titles, or take part in one of our children’s workshops, up until April the 29th. We can hardly contain our excitement about two very special Flying Eye events. On Saturday the 27th of April Viviane Schwarz and Emily Hughes will both be running kids workshops at Foyles. Using the instructions in her new book Welcome to Your Awesome Robot, Viviane Schwarz will be leading an awesome robot-making workshop for children aged 4-8 and their parents. Foyles will be providing everything you could possibly need for your very own awesome robotic creation. Expect industrious concentration and fabulous cardboard costumes (with excited children inside them!) Once you’ve engineered your robot into life, you could submit to our tumblr of awesome robot pictures. You can find out more and grab your £8 tickets over at the Foyles website. The price includes a copy of Welcome to Your Awesome Robot. Don’t forget to ask Viv to sign it! Unleash the wild beasts inside by conjuring up curious and magical monsters under Emily Hughes’ expert guidance. In this workshop Emily Hughes will offer a sneak peek at her brand new picture book, Wild, and helping kids aged 6-11 to create and draw their very own wild creatures. Foyles will be providing all the tools you could possibly need and the £8 ticket price includes a free Flying Eye comic book. For more info and to pick up your ticket, head over to Foyles’ website. Please note that an adult is required to supervise your child throughout these sessions (maximum two children per adult please).